At these unique shows, some of Berlin’s best poets are joined on stage by a host of wonderful musicians to bring BERLIN a poetry show unlike anything it’s seen before. For the Expat Expo, four of the Hauptstadt’s most exciting English-language poets, Robert Grant, Lady Gaby Bila-Günther, Ben Porter Lewis and Mc Jabber will perform with the musical support of Rob Longstaff. 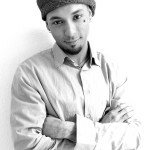 Robert Grant (UK) (The Poetic Groove/BeatStreet) is a poet, writer and filmmaker from Berlin. 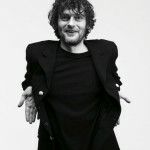 As a poet he has performed on stages all across the world and has been published on 3 continents. His latest series of poetry films have appeared in festivals stretching from India to America and back to Europe. 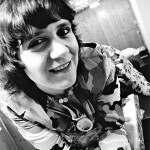 Lady Gaby Bila-Günther (AUS/Berlin) is a Berlin institution and a pioneer of “punk poetry”. Never one to shy away from anything, her style and power has been making audiences gasp for years. This internationally known and respected performer has graced stages all across the world. Ben Porter Lewis (USA) is a 25-time American Grand Slam champion. His unique performance style has won him fans all across the world and he was also featured in the landmark Beat generation documentary The Source. Born in the UK, Mc Jabber currently lives in Berlin. The teacher, actor, singer and writer has won several awards for his poetry. 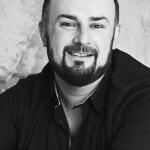 He performed in Europe and overseas, both as a soloist and with his band Blue Foundation. In 1995 he won the first national slam of Britain. 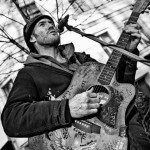 Rob Longstaff is a singer/songwriter who has found success on the streets of Berlin. Boogaloo is Rob’s third studio album and his debut with Blackbird Music. This fresh release is packed with soulful acoustic gems and was recorded over three days at Blackbird studios in Berlin.